Sustainability is a key issue facing today’s society. The goal of sustainability is to make the world suitable for future generations. There is increasing awareness that certain human activities and development practices are adversely affecting the planet’s well-being and thereby threatening the existence of the future generations. Most notably, the burning of fossil fuels for energy production and transport are implicated in forcing global climate change and increased greenhouse gas emissions with extreme environmental and human health impacts. Highway agencies and engineers are also rising to the occasion by actively promoting sustainability-oriented engineering practices and projects. Although the principles of sustainability are widely implemented in other construction activities related to infrastructure development such as building industries with standard provisions, these principles are not yet widely implemented in highway pavement design and construction. This paper presents some emerging sustainable practices being adopted such as recycling of slabs of cement concrete road, reclaimed asphalt pavement, rubblization etc., for sustainable highway construction. The American Society of Civil Engineering (ASCE) concept of sustainable development describes that a sustainable development is the challenge of meeting human needs for natural resources, industrial products, energy, food, transportation, shelter and effective waste management while conserving and protecting environmental quality and natural resources base essential for future development . This implies that the adaptation and encouragement of sustainable practices in the construction related to infrastructure development. Highways are the backbone of any nation’s transportation system and they form the foundation of a nation’s economic prosperity providing the ability to safely and efficiently transport people, products, and goods. The impact of highways on the environment is huge resulting from its life cycle activities which involve planning, design, material extraction, construction, usage, maintenance, and demolition . A highway transportation project can affect the natural ecosystems through alteration of topography, removal of vegetation, damage of habitat and bio-diversity, erosion, sedimentation, and soil compaction, stormwater pollution, increased GHGs emission and global warming, noise and visual disturbance and so on. A road pavement is a fundamental element integral to highway infrastructures. It is a subset of highway/roadway infrastructure. Pavements are typically constructed in distinct layers composed of materials such as asphalt, cement, aggregates, and soil. The road construction industry is a significant contributor to the socio-economic development of any nation. Unfortunately, its negative impacts on environment and human health is also prominent. The construction industry has been held responsible for high-energy consumption, solid waste generation, GHG emissions, pollution, environmental damages, and natural resource depletion. Because of heavy initial processing of raw materials in pavement construction, the amount of primary energy requirement and the associated CO2 emissions are relatively higher compared to building construction . The production of materials used in roadway construction accounts for 60% to 80% of energy used during construction and produces 60% to 90% of CO2 emissions associated with construction . The extraction of primary materials from quarries and borrow pits for road construction not only depletes non-renewable resources, but has associated environmental impacts such as loss of mature countryside, change in ecosystem services, visual intrusion, noise, dust, and blasting vibration. In the construction of asphalt or cement concrete pavement, tremendous amount of CO2 and other green house gases (GHGs) are evolved. A significant amount of energy is required for producing asphalt binder from crude petroleum and for drying aggregates. For instance, to dry and heat just one tonne of aggregates used in road construction, approximately 1.5 gallons of fossil fuel is used . Similarly, the worldwide production of cement releases more than 1.6 billion metric tons of CO2 annually which accounts for over 7 % of total CO2 emissions from all human activities . During the production of cement, significant levels of other pollutants, such as particulate matter and sulphur oxides are also released. Although the principles of sustainability are widely implemented in other construction industries such as building with standard provisions, the importance of these principles, in India, are yet to be widely recognised and implemented in highway pavement design and construction. Sustainable highways are the highways that integrate transportation functionality and ecological sustainability to serve as environmentally responsible and sustainable highways in all aspects, including design, construction, and maintenance. Some physical characteristics of such highways include recycled pavement materials, porous pavement shoulder, bio-filtration, etc. A sustainable pavement is a durable pavement that minimizes the use of energy and renewable resources while generating a minimum of pollutants, in the most cost-effective manner with maximizing the benefits to the society. Huge quantity of quality aggregate is required for the construction of a highway and highway pavement which is generally derived from natural resources and hence is limited. The limited natural resources for good quality aggregates, ever-increasing demand along with sustainable development needs have forced researchers to look for alternate sources for the manufacturing of the aggregates. Considering economic prospective as one of the agenda and sustainability as the main goal, a lot of research has been carried out to find out the alternate resources to fill the demand and supply gap of dooming concrete aggregate. Among all the options available for alternate sources for aggregate, the aggregate obtained from recycling of various concrete elements of construction and demolition debris has a very promising future as it is universally available in abundance. The construction and demolition is a continuous process which will continue forever and the world needs to address the management of solid waste that it generates from construction and demolition process. Pre-matured or cracked concrete pavement slabs also fail under construction and demolition waste and are treated as good source for good quality concrete aggregate. Manufacturing of recycled aggregates from cracked/ pre-mature cement concrete roads offers several benefits of saving time, money, reduction in GHGs emission etc. Recycled aggregates from construction and demolition (C&D) waste (i.e. from old buildings) consumes more time than cement concrete (CC) roads as these are considered as a homogenous concrete member (building can be considered heterogeneous as it has beams, columns, slabs and other different components). The quantity and quality of recycled aggregate obtained from discarded/cracked concrete pavement is comparatively much better. This minimizes the environmental impact by reducing the carbon footprint, embodied energy, and emissions and enhances social good by reducing the need for landfills and the extraction of non- renewable aggregates. Table 1 illustrates the amount of recycled aggregate obtained from C&D versus recycling of cement concrete pavement. Discarded or cracked concrete road slabs are firstly broken into smaller pieces using Breaking equipment. Usually mobile Diesel Hammers, Resonant pavement Breakers etc are used to break the pavements. Once the slab is broken, the slabs are crushed by deploying various types of recycling plants/ crushers (Mobile/Stationary). The aggregates are reduced to the desired sizes in these plants. These aggregates are used in the pavement slab on the site itself. A major difficulty associated with recycling of cement concrete pavement slab is the removal of reinforcement bars (If it contains). However if suitable techniques are used then it won’t be a hindrance in the recycling process. The reinforcement can either be removed manually or by electromagnetic process . In general, aggregates derived must meet the same quality requirements specified for virgin aggregates. Utilization of such aggregate in the construction of highway pavement not only reduces the extraction of natural resources but also reduces CO2 emission (the principal contributor to the global climate change) from the manufacture and transportation of natural aggregate. Such practices also encourage adaptation of sustainable practice in highway construction. Existing asphalt pavement materials are commonly removed during re-surfacing, rehabilitation or reconstruction operations. Once removed and processed, the pavement material become recycled asphalt pavement (RAP) materials, which contains valuable asphalt binder and aggregate (Figure 1). Recycling Asphalt Pavement (RAP) creates a cycle of re-using materials that optimizes the use of natural resources. RAP is a useful alternative to virgin materials because it reduces the need to use virgin aggregate, which is scarce commodity in many areas of the globe. It also reduces the amount of costly new asphalt binder required in the production of asphalt paving mixtures. It has been estimated that the performance of pavement containing up to 30% RAP materials is similar to that of pavements constructed from virgin materials with no RAP materials . According to Florida Department of Transport (FDOT), average life of pavement with virgin material is 11 years. For 30, 35 and 40 percentage RAP mix, the average age ranges between 10-13 years  as shown in Figure 2. The primary conclusion of the study suggested an insignificant difference in pavement life and performance of between zero and 30 percent RAP material used in the asphalt mixtures. Moisture content of RAP materials may be initially determined to facilitate batching for mix design. For all RAP stockpiles, the asphalt binder content and aggregate gradation must be determined. The asphalt binder content may be determined according to AASHTO T 308 or AASHTO T 164. In general, RAP aggregates must meet the same quality requirements specified for virgin aggregates. This includes evaluating coarse aggregate angularity, fine aggregate angularity and flat and elongated requirements . The mix design process for mixes incorporating RAP material is similar to the mix design for all virgin materials. Once RAP has been characterized, it can be combined with virgin aggregate for calculation of the mix gradation for mix design purposes. Such extensive research study with convincing data lacs in India and not readily available. A judicious use of RAP materials in asphalt pavement construction is an adoption of sustainable construction practice in highway construction. The fines dust particles captured from the exhaust gases of hot mix asphalt mixing plants is commonly known as hot mix asphalt baghouse fines. Approximately 5.4 to 7.2 million metric tons (6 to 8 million tons) of baghouse fines are generated annually by the U.S. asphalt production industry  such data is not available for our country. Depending up on the collection system baghouse fines sizes may be up to 75 micron. Normally, these fines absorb less than 2 percent moisture at a relative humidity of 50%. These fines may contain little or no clay. Depending upon the sources of parent rocks the pH of baghouse fines ranges up to 12.4. These fines easily meet the requirement for mineral filler which limit the plasticity index value to 4.0. The only established use for baghouse fines or dust is the return of the dust into an asphalt paving mix as a portion of or, in some cases, all of the mineral filler. Mineral fillers can constitute up to 5 percent of some asphalt pavements [13,14]. Baghouse fines from a particular plant and aggregate type should only be used at that plant and with the aggregate type from which it was derived, since Baghouse fines from different aggregates vary in gradation, chemical composition, and affinity for asphalt . According to Schrimsher, a maximum Baghouse fines content of 2.0 percent has little effect on the stability of asphalt mixtures and was found to be beneficial to mix cohesion . According to NCHRP, the properties of the asphalt concrete that could be affected by these particles includes penetration and viscosity, resilience modulus, moisture sensitivity and stability. Therefore, asphalt mix containing baghouse fines can be designed using standard procedures. In general, the baghouse dust is not harmful to a paving mix and can be successfully reintroduced into an asphalt mix in the construction of sustainable pavements. Ground granulated blast furnace slag (GGBFS) has been used for many years as a supplementary cementitious material in Portland cement concrete, either as a mineral admixture or as a component of blended cement. Concrete containing GGBFS develops strength at a somewhat slower rate than concrete containing only Portland cement, but ultimately can develop equivalent strength. This can be a concern where early strength development is important. Use of GGBFS as a partial cement replacement gives concrete moderate resistance to sulphate attack. Cement concrete road containing high concentrations of GGBFS may be susceptible to salt scaling (i.e. the loss of surface layers of cement mortar during repeated freeze-thaw cycles). Due to this problem, some agencies limit the amount of slag in a Portland cement concrete mix to 25 percent of the total cement weight . Air-cooled blast furnace slag (ACBFS) is considered by many specifying agencies to be a conventional aggregate and can replace both coarse and fine aggregates in asphalt paving applications. ACBFS, however, is more absorptive than conventional aggregate and therefore has a higher asphalt demand . 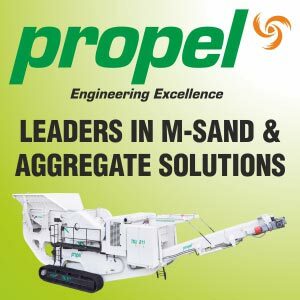 It also has a lower compacted unit weight than conventional mineral aggregates, which results in a higher asphalt pavement yield (greater volume for the same weight) . Surface-treated pavements incorporating ACBFS aggregate demonstrate good friction resistance, good resistance to stripping, and fair wear resistance. However, the resistance of ACBFS to impact is not very high and the material can break down under heavy traffic conditions. Such aggregate is better suited to surface treatment applications on light traffic pavements . Both air-cooled blast furnace slag (ACBFS) and expanded blast furnace slag can be used as a conventional aggregate in embankment or fill. They are generally considered by many specifying agencies to be conventional aggregates and require minimal processing to satisfy conventional soil and aggregate engineering requirements . Some positive features of ACBFS and expanded blast furnace slag include their low compacted density (which results in reduced dead weight load, reduced lateral pressures, and favourable transportation costs on a volumetric basis), high stability and friction angle, ability to stabilize wet, soft underlying soils at early construction stages, and the almost complete absence of settlement after compaction [12,17]. Expanded blast furnace slag can also provide some structural strength because of its cementitious properties, thereby enhancing the service life of the pavements, consequently contributing to sustainable pavement construction. The technique that involves in-place breaking of the existing deteriorated concrete pavement into pieces to form a high-quality crushed stone base layer for a new asphalt or concrete surface is known as rubblization of concrete pavements. Several benefits of rubblization include speed of construction, conservation of landfill space, reduced requirements of virgin aggregates, economic savings to agencies, elimination of ASR problems with the existing concrete pavements, and improved ride quality . If a bituminous overlay is done on cracked concrete pavement the reflection cracks do appear (Figure 3) unless the cracked concrete size is reduce to the extend where it eliminate occurrence of such cracks. Therefore, the main objective of rubblization is to eliminate reflection cracking (Figure 3) in the asphalt/bituminous overlay by the total destruction of the existing slab action of the cement concrete pavement. This process is normally achieved by rubblizing the slab into fragments. The rubblization process is applicable to all types of existing cement concrete pavements . It is carried out either using a Resonant Pavement Breaker (RPB) (Figure 4a) or Multi-Head Breaker (MHB) (Figure 4b). Figure 5 presents a typical example of resonant broken cement concrete road surface. The use of rubblization technique in the construction of pavements is not only a sustainable approach but also results in enormous saving of time and money such practice should be encouraged. In-situ recycling of discarded and/or premature cement-concrete slabs should be encouraged as a sustainable means of pavement construction as it yields good quality aggregate in less time in more eco-friendly way besides helping in reducing virgin aggregate extraction. With the increasing cost of asphalt and the scarcity of quality aggregates besides the requirements for sustainable development practices adoption in pavement construction the reclaimed asphalt pavement should be favoured over virgin materials in asphalt pavements wherever possible. With selection of appropriate binder and technology RAP material could be used as a sustainable practice in the construction of pavements. Proper use of baghouse fines in the bituminous mix of a pavement is beneficial for sustainable approach adopted in highway construction. Both air-cooled blast furnace slag (ACBFS) and expanded blast furnace slag can be used as a means of sustainable approach in highway construction. Rubblization is a very sustainable technique for the construction of bituminous overlay on a badly cracked concrete pavement. Gopalkrishnan K., “Sustainable Highways: Pavement and Materials”, 2011, Transdependenz LLC, Edition 1, pp 9-40. Muench S.T., “Roadway Construction Sustainability Impacts.” 2010, Transporation Research Record: Journal of the Transportation Research Board, Construction, Vol.1, PP. 36-45. Krishna V., Kumar R., “Recycling of Cement Concrete Roads: An Innovative Advent to Sustainability”, 2013, International Journal of Research in Engineering and Technology (IJRET) Vol. 2, No. 2. FHWA-DOT, “Reclaimed asphalt pavement in asphalt mixture: State of the practise”, 2011 FHWA-HRT-11-021, US Department of transport, Federal Highway Administration. Musselman, J., “High RAP Performance in Florida”, 2009, HMA Recycling Expert Task Group, Department of Transportation, Washington, DC. American Association of State Highway and Transportation Officials “AASHTO M 323: Standard Specification for Super pave Volumetric Mix Design,” 2010, Standard Specifications for Transportation Materials and Methods of Sampling and Testing, 30th Ed., AASHTO, Washington, DC. Scrimsher, T., “Baghouse Dust and Its Effect on Asphaltic Mixtures”. 1976, California Department of Transportation, Research, Report No. CA-DOT-TL-3140-1-76-50, Sacramento, California. Hogan, F. J. “The Effect of Blast Furnace Slag Cement on Alkali Aggregate Reactivity: A Literature Review,” 1985, Cement Concrete and Aggregates, Vol. 7, No. 2. Baumen E.W.,” Blast Furnace Slag, Ideal Backfill Material for Steel Sheet Piling.” 1966, National Slag Association, Alexandria, Virginia.